The Tuesday Teaser Winners Are……. What? Everybody won the Tuesday Teaser? Well, just about everybody who guessed was either exactly right or so close it was amazing so for the first time in the history of my Tuesday Teaser challenge – I’m going to award a prize to every single one of you…….how about that????!!!! Here are the photos again – then I’ll tell you a bit about them – THEN I’ll hand out hugs all around! 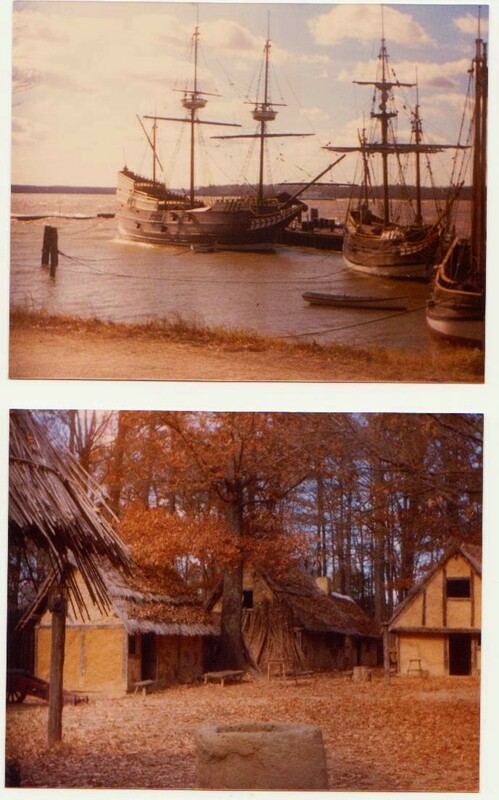 The photo was take by my Mom when she and Dad were on a visit to Jamestown, Virginia! In 1607 – 13 years before the Pilgrims landed in Massachusetts – 104 English men and boys began the settlement of the first permanent English colony in America….Jamestown. In one of the photos they have recreated what some of the structures WOULD have looked like at the time, using the available materials. Primitive at best. The other photo is of the three recreated sailing ships the settlers would have crossed the ocean in – the “Susan Constant”, the “Godspeed” and the “Discovery”. It was a four and a half month voyage (yikes!). So when I posted the photos I said I thought it would be an easy Teaser for a change – was I right? Aren’t you all proud of yourselves? Seriously – you guys are AWESOME. Good guessing! Here’s what I promised you………..
Concatulations to everyone……even if you didn’t guess right – as I said most of you were so close you could reach out and touch it…. 😀 😀 Take your hug and let it keep you warm ALL day today (unless it’s super hot where you are and pretend it’s a portable air-conditioner!). Ima just laughing here this morning! You CAN”T lose here!! It’s fun and even if you don’t know at all and even if you guess wrong and when you are right you still get a Sammy Hug. And I learn a thing or two here. Purrfect!!! Enjoy your Wednesday Sammy! You are VERY VERY welcome!!!!! Oh fiddle Dad suggested Jamestown! And he was RIGHT!!!! Jamestown it was…….and EVERYBODY got a great big Sammy Hug out of the Teaser this week so EVERYBODY won!!! YAY! And see????? You STILL won a BIG SAMMY HUG! Pretty good deal, huh???? SOOOOOOO happy you entered your photo Easy….like I said, I think lots of people had a very hard time making a choice because there were so many fab pix! Thanks for being so generous with the Sammy hugs, Sammy. The only part I got right was the time business. Anyone know how to reach that doctor? HA! I thought everyone deserved a BIG SAMMY HUG for a change….there were a LOT of right answers this time so why not just spread the love?!?!?! Right? I am finally getting time to chat today – it has been a BUSY day! Sweetie Dog had to go to the groomer this morning early – and she just HATES that! She was a nervous wreck…but it was so necessary – she was looking like a sheep dog! Because she was so traumatized this morning, I am going to share my Sammy Hug with her (do you think it would make her more traumatized to get a hug from a cat?). I think it may make her feel better. I know it does me!